The Royal Mint have released 1.4 billion brand new £1 coins into circulation in what is the single biggest change to the UK’s coinage since decimalisation. It is, of course, a much anticipated day for coin collectors keen to own one of the first coins. But with enough £1 coins entering circulation for everyone in the population to own more than £20’s worth, the standard circulation coin will be two a penny – well at least two a pound. That’s why serious collectors are looking to mark this numismatic milestone with something a bit more special – one of the collector editions being released by The Royal Mint, several of which have edition limits that seem certain to sell out quickly. Here’s your guide to the most collectable versions of the new 12-sided £1 coin. 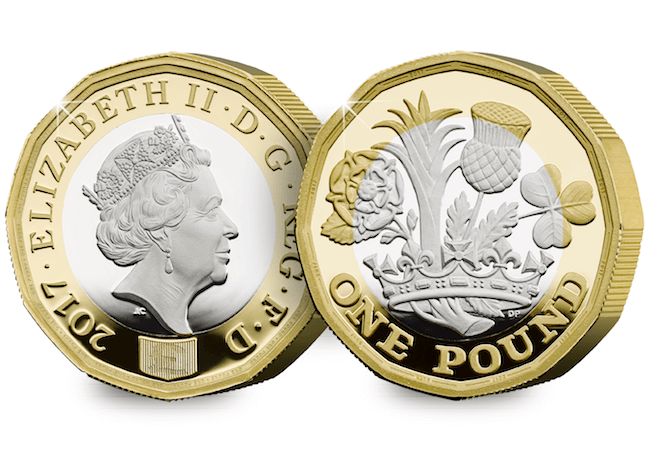 Of course, quality is everything for coin collectors, which is why The Royal Mint is producing a collector quality base metal version of the new 12-sided £1 coin. Unlike the coins you’ll find in your change, these pieces have been specially struck and carefully handled to ensure that they remain free of the scratches and chips found amongst their circulating counterparts. Known as Brilliant Uncirculated (BU), they are available for £9.99 in a Royal Mint Presentation Pack or £5.99 in a Change Checker Certified Brilliant Uncirculated Collector Card. Perhaps the most important of the Collector Editions is the Silver Proof £1 Coin. Silver Proof coins have all of the qualities that collectors really desire. Precious metal content – struck from 925/1000 Sterling Silver with 24 Carat Gold-plate to create the outer ring. Strict Limited Edition – just 25,000 individual coins. That’s HALF the number of Silver Proof £1 Coins that were issued for the original Round £1 Coin in 1983. Perfect Proof Finish – even better than Brilliant Uncirculated, Proof coins are struck several times using specially polished dies to create a flawless finish with a perfect mirrored background and frosted design. The ultimate in coin quality. Double the thickness. More than five times as limited. 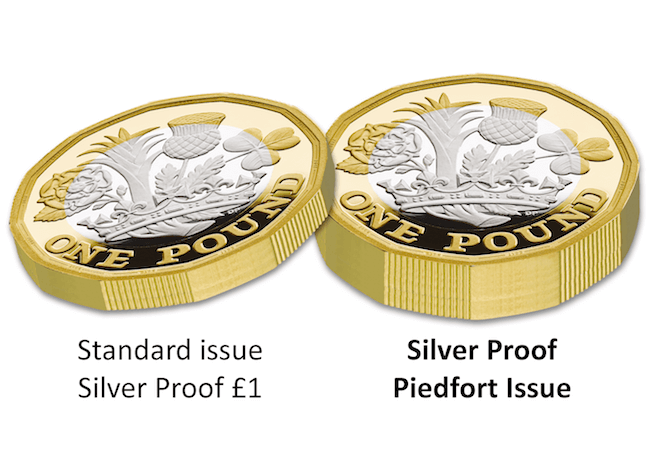 For silver collectors looking for something even more collectable, the double thickness Piedfort edition is likely to be the first of the £1 sell-outs. That’s because collectors not only own a rare double-thickness new £1 coin but there are just 4,5000 of them – less than five times the maximum mintage for the standard £1 silver proof. For the ultimate limited edition, you can own the Gold Proof £1 Coin. Struck from 22 Carat Gold with a red gold outer ring, just 2,017 single coins have been authorised for issue. 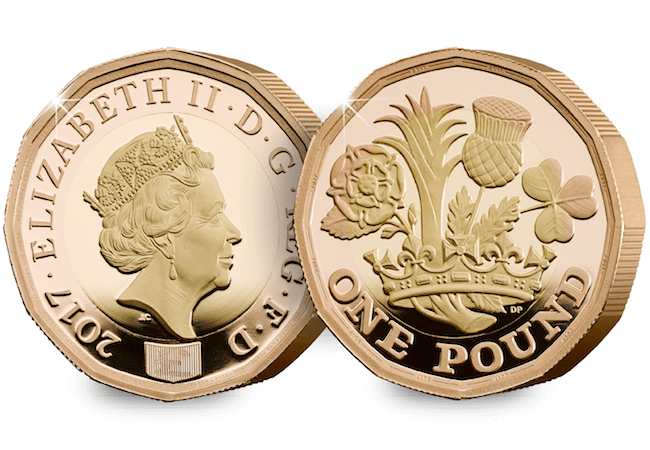 Due to its very limited nature, we will contact you directly to discuss owning the Gold Proof £1 Coin if you are interested – please complete the form below. You can own one of the special Collector Edition 12-Sided £1 Coins today, click here to view the full range. Why are the NEW 12 sided £1 coins 2017 if BU, but 2016 if in circulation?